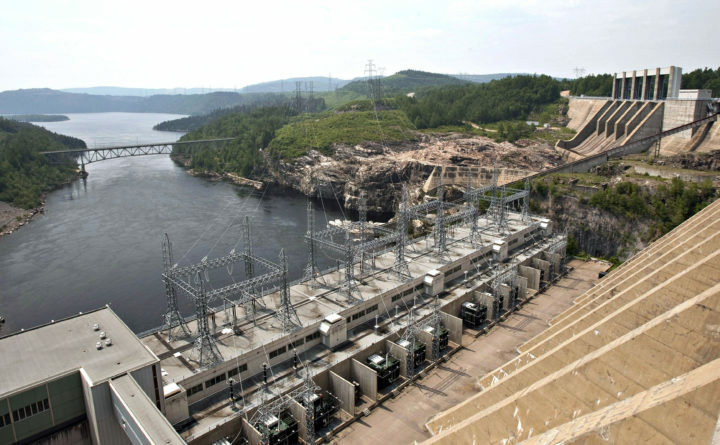 AUGUSTA, Maine — The staff of Maine’s utilities regulatory commission recommended on Friday that Central Maine Power’s controversial $1 billion proposal to deliver Quebec hydropower to Massachusetts through a western Maine corridor be approved. It is the biggest milestone so far for the project that has been in the works for more than a year and drew support from Gov. Janet Mills in February after parties inked a 40-year benefits package worth $250 million. However, the Legislature is considering bills to slow or neuter it. The three-member Maine Public Utilities Commission is scheduled to vote on the proposal in April. In a report released Friday evening, the commission’s staff said the project is in the public interest and should go forward, saying the benefits package augments the corridor while only being worth between $72 million and $85 million in today’s dollars because of inflation. Next month’s vote will come amid fervid grassroots opposition in western Maine and during the further permitting processes that are required. Mills’ hometown of Farmington voted against it overwhelmingly last week, joining eight other towns in opposing it and almost all of the more than 1,300 public comments filed with the commission on the proposal were in opposition. “There’s nothing in this report that changes the facts that this transmission corridor is a bad deal for Maine and it’s deeply unpopular,” said Sandra Howard, the director of Say NO to NECEC, an opposition group that uses the acronym for the project’s formal name. The corridor proposal has made strange allies and opponents. Former Republican Gov. Paul LePage also backed it. The Natural Resources Council of Maine opposes it and the Conservation Law Foundation supports it as both environmental groups are hailing the new Democratic governor’s focus on climate policy. Mills has attempted to make the corridor part of that agenda, citing a study done for the utilities commission last year finding that the 145-mile transmission line would reduce annual carbon output in New England’s electricity supply by the equivalent of taking 767,000 cars off the road while creating more than 1,600 direct and indirect jobs. Opposition has centered around the corridor’s impact on the swath of Maine woods it would cut through and associated habitats — as well as the tourism industry. Most of the line will run 100 feet overhead with part of it buried under the Kennebec River at a scenic gorge in Somerset County, with 50 miles of the corridor requiring clearing new 150-foot swaths through the woods. Threats to the project loom in the Legislature, where Rep. Seth Berry, D-Bowdoinham, the co-chair of the Legislature’s energy committee, has submitted a bill backed by a bipartisan group of lawmakers that would require every town along the corridor’s path to accept it by referendum before the utilities commission moves it forward. Interested parties have until April 8 to file objections to the report, and Berry’s bill is scheduled for a legislative hearing on April 10, meaning lawmakers would have to rush it to a vote to beat the commission’s decision. It could be the first messy struggle between lawmakers of both parties and Mills, who has enjoyed a honeymoon period with Democrats since taking office. Another bill would require an emission study before the project is permitted by the Maine Department of Environmental Protection. That agency and the Land Use Planning Commission will hold public hearings on the corridor next week that promise to be crowded. They start on Monday morning at the University of Maine at Farmington.